Is it possible to create an icon on the Desktop for IE without re-installing? The questioner had somehow lost the desktop icon for Internet Explorer. IE was still on the machine, but it wasn't at all obvious how to get the icon back. Fortunately creating desktop icons for any program is easy. As with anything there are about half a dozen ways to do it. We'll review just a few. What most people don't realize is that items on the Start Menu can be dragged around. They can be dragged onto other submenus within the Start Menu, which moves the item or they can be dragged onto the desktop, which copies it. Try it - locate a program on your start menu like Internet Explorer, click and hold (this can be just a little tricky. Windows doesn't always seem to recognize the hold for me), and then drag it onto your desktop. Instant shortcut. Windows explorer (not to be confused with Internet Explorer) is another place you can drag from, but it requires just a little extra caution. Fire up Windows Explorer (I use the "start" windows key + E, or right click on My Computer and select "Explore") and navigate to a directory that contains the file you want a shortcut too. To create a new shortcut for Internet Explorer we'll look for IExplore.exe which is normally "C:\Program Files\Internet Explorer\IEXPLORE.EXE". Navigate to "C:\Program Files\Internet Explorer", click and hold on IEXPLORE.EXE, and drag it over to your desktop. As you drag it over the desktop you should see the little curved "shortcut arrow" appear indicating that if you release it onto the desktop you'll be creating a shortcut. For many programs or other files the default action is to copy the entire file to your desktop - in those cases holding down the ALT key before dropping the file will cause the shortcut arrow to appear, and dropping the file then will create a shortcut to the original. For our last example you can just right click on the desktop, select New, Shortcut and in the dialog that results, select the Browse button. Now expand directories listed there to locate the file you want a shortcut to; for example My Computer, C:, Program Files, Internet Explorer. In there we'll see IEXPLORER.EXE; click on that, hit OK, and then Next. Now enter a name for your shortcut (that's what will show on the desktop) and press Finish. You should now have a new shortcut for Internet Explorer. In IE, under the tools menu entry, Choose "Internet Options". Click the tab marked: "Advanced"
Find the "Show Internet Explorer on the Desktop" entry in the "Browsing" section. Now the official icon and not a shortcut has been restored. Go to Start > Search > All Files and Folders. In the topmost box type exactly "IEXPLORE.EXE" and hit "Search." In less than 10 seconds you'll find at least one IE icon. Right click on that icon, go down to "Send to" and choose "Desktop (create shortcut)." That's it. You can then drag it to your Quick Launch list. What all of you are missing is that there is a special Internet Explorer icon for the desktop that is not a "shortcut". When you right-click the icon, you should get the options for Internet Properties (in win xp). You do not get this option with a regular shortcut. You get the shortcut properties instead. So, what happens when the desktop properties refuse to put the internet icon back once it "disappears"? thanks TheRightWay at July 16, 2005 09:26 AM !!! Thank's "The Right Way" you saved me much frustration and I have my explorer icon beck! You are a god send! OH yea!! I got it!! it helped alot! thanks so much! I now have my icon back!!!!! HBMAN has the right answer. 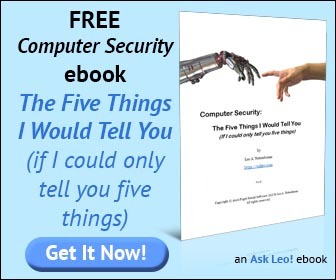 Leo, your solution is to create a shortcut to the Iexplorer.exe. The original icon is not a normal shortcut, it's a desktop element like My Computer or Recycle Bin. And if you want to know the big difference, right click on the standard IE icon and go to properties, you'll be brought directly to the Internet Options. Now right click on your shortcut and go to properties...... big difference. Thank you. I was going nuts. Who knew it was that easy? ....apparently you! Thanks again! Here's how to create the proper icon for IE7 (because "hbman"'s solution doesn't work for IE7). Save the following as IE7.reg, and then double-click it and select "yes". Refresh your desktop (Press F5), and you'll have the proper IE7 icon again. REALLY ITS VERY GOOD. THANKS FOR YOUR SUGGESTION. NOW ITS WORK MY COMPUTER. You know this just recently happend to me. Creating a shortcut is not the same as the default IE icon. The default IE icon that is generated when IE or windows is installed allows for right-clicking and going to IE properties. A shortcut link does not. So I am looking for a way to get that original IE icon back. I found these instructions for restoring default deskopt icons. Right-click an empty area of the desktop and choose "Properties". 2. When the "Display Properties" multi-tabbed dialog box appears, click the "Desktop" tab. 3. Click the "Customize Desktop" button. 4. A "Desktop Items" dialog box will appear. Make sure the "General" tab is selected. 5. Choose an icon to change back. 7. Click "OK" on the dialog boxes to close them. The registry entry that was posted here seems to work for restoring the IE7 desktop icon. However, it doesn't restore the option to turn the IE7 icon on and off. Normally you can just go to your display properties and then to the desktop tab and check the box that says Internet Explorer. However, in my case that checkbox doesn't even exist. All that's there is My Documents, My Computer, and My Network Places. I've never seen this happen and I don't know how to get that checkbox back. Is there a way to copy and past the ie Icon in a document? I am trying to write a training manual for someone not familiar w/ computers and want to show them what the icon looks like. dude, thanks so much. ive been tweakin my laptop all weekend and nothin has been workin. i tried deleting ie7 until i realized vista cant do that, which is dumb. and all i have is ie7 with no add ons. and that version is really messed up. anyways, thanks. None of these things work for my Vista laptop. The registry values wind up as "Not valid registry files." Nothing works for me at all. I haven't got the Internet Explorer checkbox in my desktop properties or the "Show Internet Explorer" option in the internet options. Is there any hope at all the Internet Explorer Icon will ever return to my desktop? Any useful tips will be appreciated. Mail me the answer [email address removed] as I won't be returning to this place. i have ie 8 and none of this is working. what else can i do? I recommend uninstalling IE8 and reverting to IE7. IE8 is beta software and has not officially been released yet. i have ie 7 and none of this is working. what else can i do? Apologies for being dumb, but when I create the IE7.reg file, where do I put it? The issue I'm having is that I cant even find "C:\Program Files\Internet Explorer\IEXPLORE.EXE". I just downloaded IE 8 and I still cannot find this file line. Should I just go back to an earlier version of IE like you suggested for another commenter? I want to thank you so much for the infomation on how to get my Internet Explorer icon back. I couldn't access Internet Explorer because my icon got deleted and now I have it back!! Thank you so much! Great directions!! I don't expect a response, I know you are busy, I just wanted to thank you!!! hi iam a java fresher and i have developed some application and that application will run in IE so i want to create a copy of IE with different icon on the desktop with another default url. so that it can be identified this is a particular app. If there is any solution for this pls suggest me. Thanks for posting the Missing IE 8 Fixit Link! but after running the Icon fix, All I had to do was right-click the IE icon, go to Colors and uncheck the Use Windows Colors option box. I'm using IE8 beta and had a few problems which were corrected, but overall, it's as easy as IE7 was (or was Not.) Be glad when development is done, though. my internet explorer icon is inactive. I created a new shortcut but nothing happen when i click on it. I've had trouble for years with IE's icon. With IE7, I simply drug the ieexplorer.exe icon in the Programs folder to the Start menu. However, with IE8, this procedure didn't work because there is no ieexplorer.exe file. What worked was clicking on Start, Set Program Access and Defaults, Custom drop-down menu, and allowing access to Internet Explorer (which was unchecked). The IE8 icon appeared in my Quicklaunch bar and in the All Programs list! Hope this solution works for you! Sometimes my fellow IT people although are helpful the majority of the time take the easy route instead of going that extra mile. Right Clicking on an Link or Icon and dragging is more efficient than holding down CTRL, left click and drag. It only requires one hand, it gives you 3 options instead of the two given here. Another item of point. The Internet Explorer shortcut is only good for opening Internet Explorer. The Microsoft engineers are also clueless. They did away with one of the most useful tools and left us with a dumb link. The Original Internet Explorer icon also was a "Full Featured" tool. Not only could you access the Internet but you could also access the Internet Options. Bring back the Full Featured Internet Explorer icon to the desktop.